An idealistic Vanessa, 26, enters the world of international aid, bringing with her youth, beauty and passion to do good in the 'Wild East' of Ukraine after the sudden collapse of communism. The country and its people completely win her heart. As does Dan, a jaded American Deputy Bureau chief of USAID. Highly charged and turbulent, Vanessa and Dan's love for each other is passionate and unyielding. Their romance unfolds in the beautiful lilac-filled city of Kiev, on frequent working trips to the coalfields of Donetsk and on weekend visits to the sparkling seas of Odessa, to the pristine ski runs of the Carpathians, and even to the chilling spectacle of Chernobyl. Older, wiser, Dan laughs at Vanessa's determination to change the world, but helps her navigate the political minefield of overseas aid. 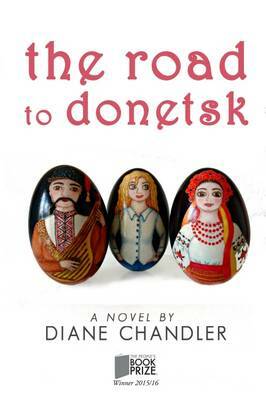 He admires her achievements, not least the micro-credit scheme she sets up for the resourceful, magnificent wives of the Donetsk coal miners - her beloved Divas - but warns against her deep-felt passion and idealism. At the age of just 26, Vanessa has landed her dream man as well as her dream job. But then Dan springs a bolt from the blue, which throws her into turmoil...In a world where millions of dollars can either wash away in a moment's corruption, or turn around the lives of the neediest, Vanessa is then forced to pit her own naive desire to make a difference against the chaos of a country in transition.